The research and creative activities of undergraduate and graduate students are showcased at the annual UMaine Student Symposium. This day-long event features the work of students from academic disciplines ranging from the sciences and engineering to arts and humanities. 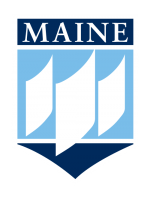 Open to all UMaine undergraduate and graduate students, this event consists of individual and group student research presentations in the form of: posters, exhibits, performances, and oral presentations.